"Every firm says that they give their clients personal attention. Our firm actually does." 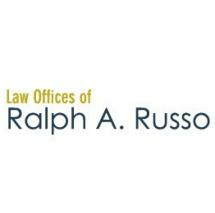 At the Law Offices of Ralph A. Russo, we understand the needs of injured people. We represent Connecticut employees who are injured on the job in claims for lost wages and medical treatment expenses against private industry, and state and local government employers and their workers` compensation insurers. We also represent private industry and workers' compensation insurers against claims by individuals for work-related lost wages, medical treatment, retraining and rehabilitation expenses. In addition to practicing in this area of law for over 25 years, Attorney Ralph A. Russo has been recognized as a Board Certified Workers' Compensation Specialist by the Connecticut Bar Association, an honor bestowed upon only a few dozen lawyers in Connecticut. Attorney Russo has argued workers' compensation cases before the Compensation Review Board (CRB) as well as the State Appellate and the Supreme Court. He has been handling issues involving workers' compensation since the 1970s, and he is proficient in dealing with all facets of work-related injuries. Having been employed almost exclusively as a workers' compensation attorney since 1982, Mr. Russo brings a comprehensive perspective into each case he handles, with a full understanding of all sides of the relevant issues. Attorney Russo has been a frequent lecturer on topics pertaining to the Connecticut Workers' Compensation Act for the Connecticut Bar Association, PESI, Inc., and various private business and health-related organizations. He has also authored numerous articles on workers' compensation issues, including those related to the Second Injury Fund. We know that the workers' compensation system can sometimes be confusing and overwhelming, especially when you are trying to heal from your injuries. We will help demystify the hearing process. If you have questions or concerns, we will be there to address them. We believe that educated and informed clients make the best decisions, and we want to help you achieve what's right for you.